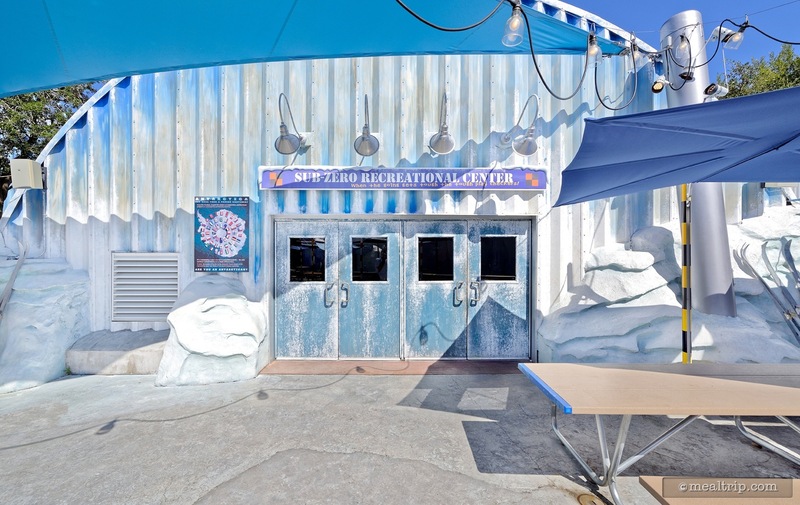 Much of Sea World’s Expedition Café resembles an Antarctica ice station mess hall, only quite a bit larger. 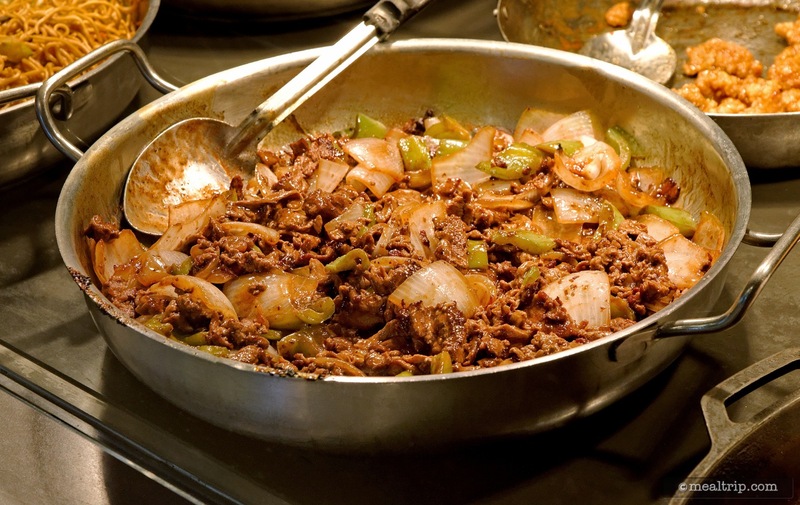 Being a gathering spot for intrepid travelers and scientists from all over the world, many different cuisine types are offered. 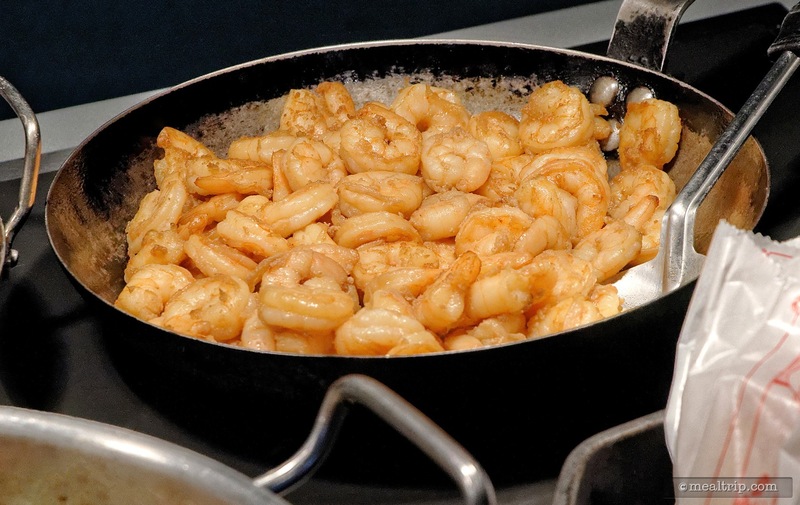 From Asian stir-fry and Italian Lasagna to more American standards such as Baked Chicken or a turkey Club Croissant, everyone is sure to find something to enjoy. 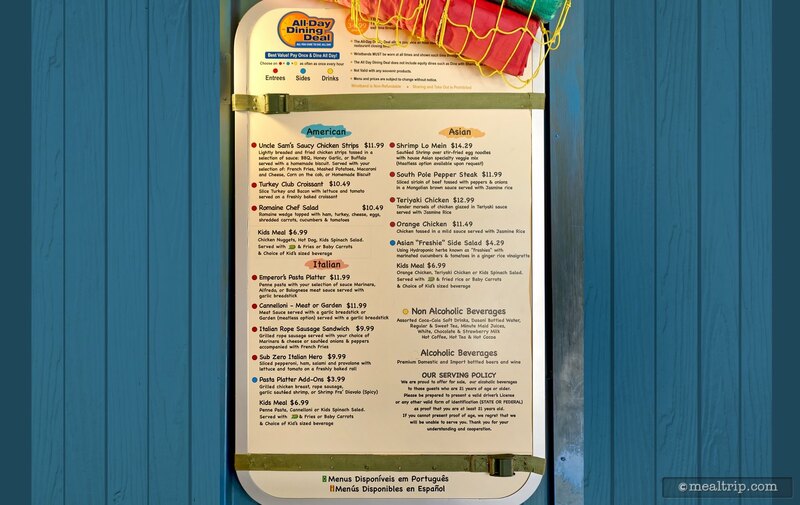 Grab and go coolers are also available for quicker bites to eat, and while standard beverages are offered, you’ll also find Yuengling and Kirin beers, and a couple of Copa’s like Pinot Noir and Cabernet Sauvignon. I saw an entree Italian window that looked promising. I asked the young man what it was and he told me it was a cannenoli. He asked me if I wanted meat which I did order. It came out of an oven and it was served with cheese broccoli and a bread stick. It was a delicious choice. It was full of flavor and the cheese broccoli was tender and went well with the meat pasta dish. I am glad I asked what it was and did not pass it up. I did go back to the young man and told him the cannenoli was delicious and thanked him. We chose the fried chicken with mashed potatoes and gravy. The chicken was tasty this time, the time before it was dry. We returned for the most delicious mashed potatoes. They are real potatoes and not instant that are hot,creamy and our favorite dish. A refreshing change away from the standard french fries. 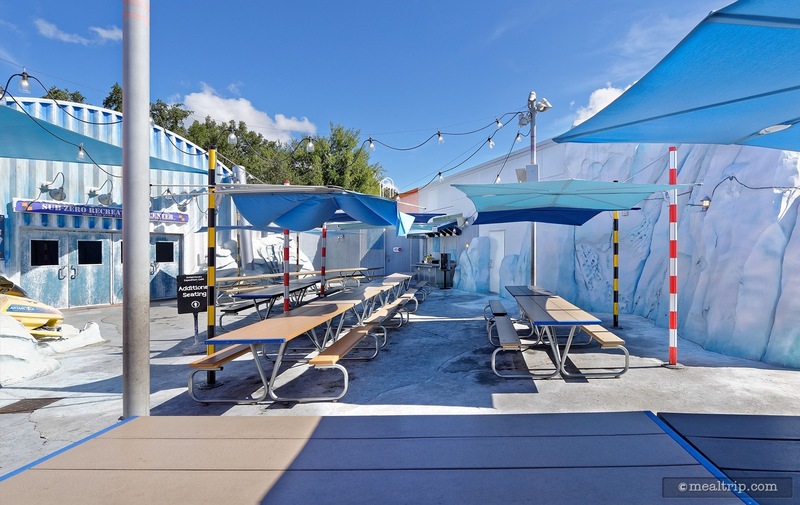 From a design and environment standpoint, SeaWorld Orlando's indoor dining locations seem to have a little something extra going for them, and Expedition Cafe is no different. 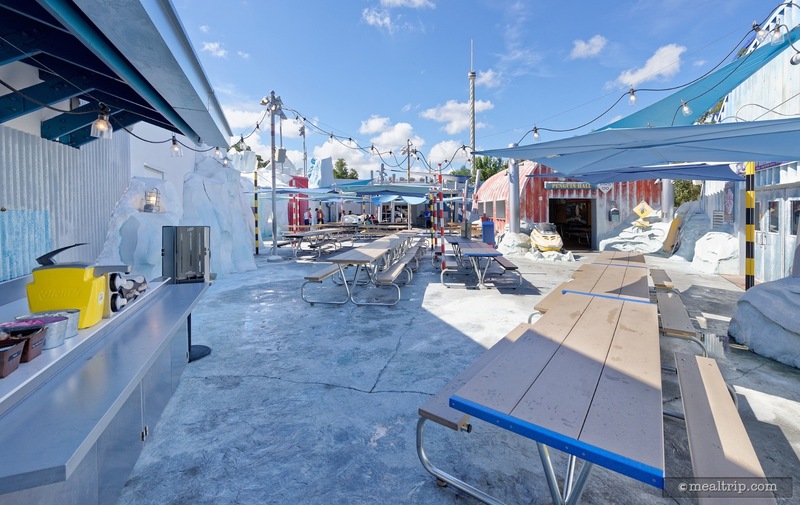 While not all of the locations have a clear backstory, there is detailing in floor surfaces, wall coverings, lighting and decor that's on-par with some of the best theme parks... and even most plain old, stand-alone restaurants. 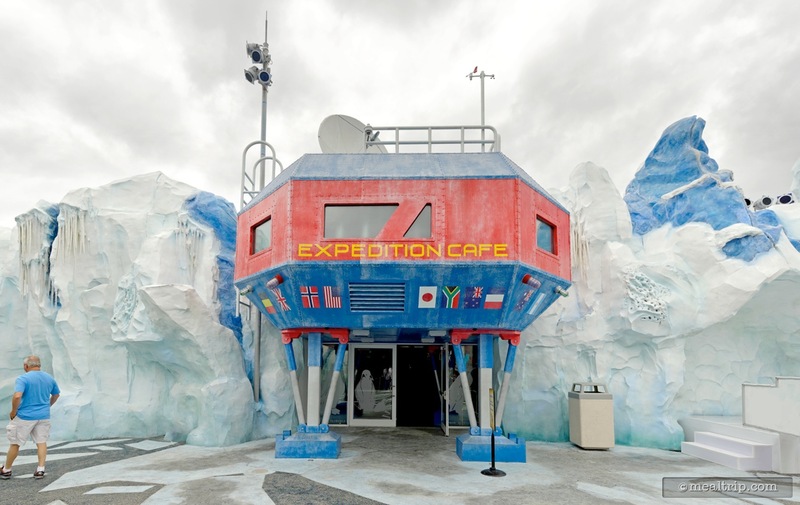 Expedition Cafe's "explorer base-station and mess-hall" concept features cuisine from a few of the countries that were involved with the original Antarctic Treaty. Well, there were actually 12 countries involved, and Italy wasn't really one of them, so it's a loose concept, but still... a cool idea, as American, Asian, and Italian cuisine is featured. 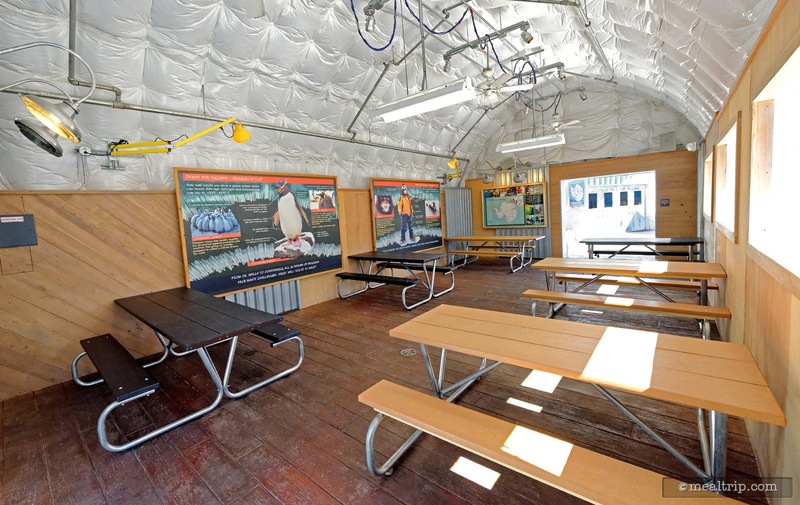 In addition to the main food preparation and selection area (where you'll also find a little hydroponics display adding to the details), there is one fully outdoor seating area that looks like it's been carved out of the ice (but warmer, because you know... it's Florida), one set of tables that are fully covered but are still open air, and one fully indoor (and air conditioned) large "mess hall" room. 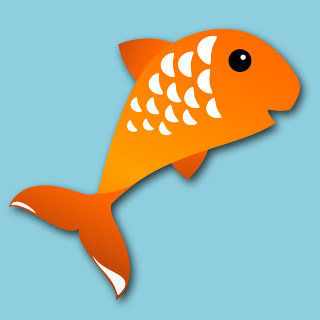 They all have tons of character and little details that help to bring the concept to life. 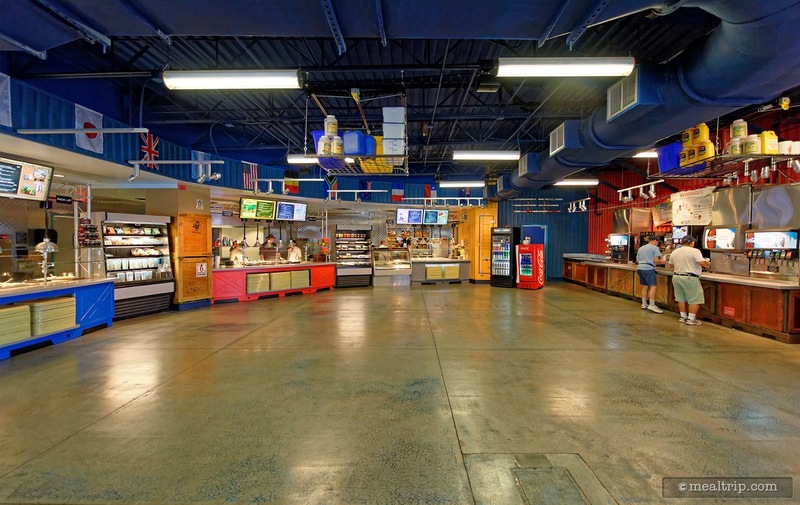 Food-court style dining is not an original concept, but it's something that SeaWorld needed. After the recent re-theming of the Terrace Buffet to a BBQ-only location, they no longer have a "something for everyone" option. 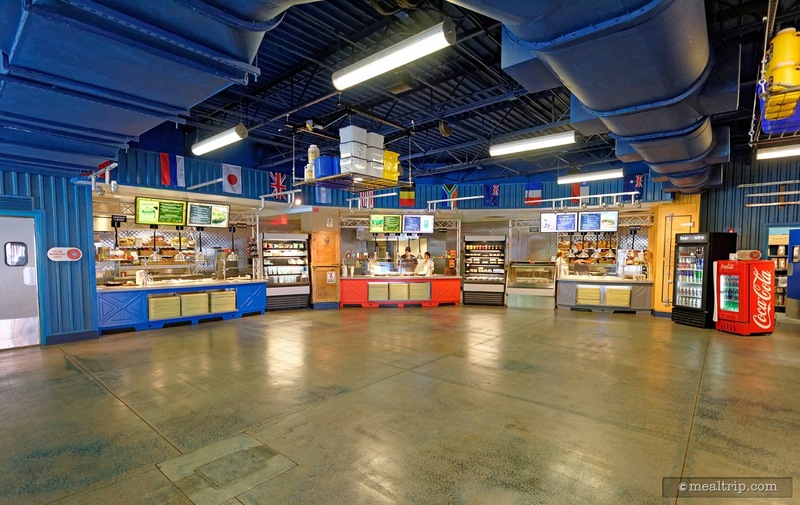 The central "food pickup" area at Expedition Cafe gives you plenty of room to move around and freely examine all the menu boards and options before making a selection. The semi-on-stage kitchen area even let you peruse some of the food preparation, as small batches are plated, and kept under heat lamps, ready to be selected. Now, about the food... consistency is one of the things I'm always looking for in an in-park, fast/quick counter service location. Let's face it, if you're searching for authentic culinary discovery, there are very few quick-service locations that will deliver. A wide range of selections, that are all good to eat, no matter what time or day you visit... is a winning combination for counter service. So far, (I'm happy to report), Expedition Cafe, delivers. 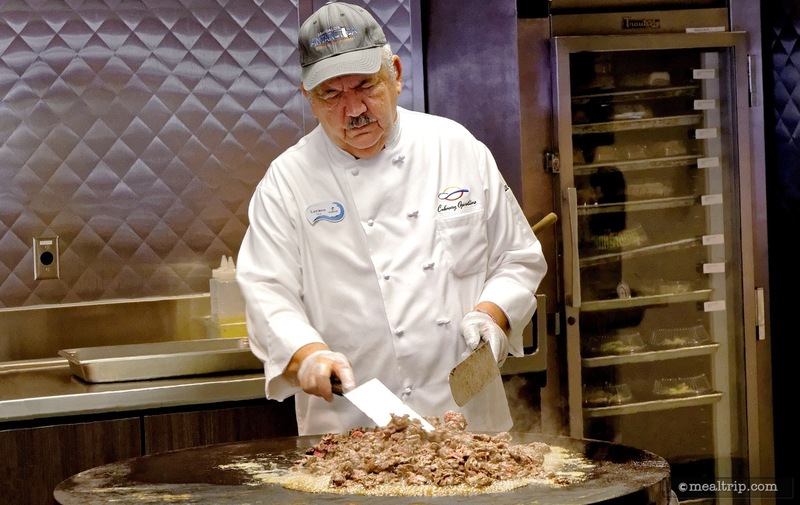 There are a couple of decent stir-fry plates from the "Asian Station", including a gluten-free Teriyaki Chicken and a "South Pole" Pepper Steak with a Mongolian sauce (to keep it from being too Tex-Mex-iee). The Italian Station doesn't take the often traveled, easy way out by serving pizza. 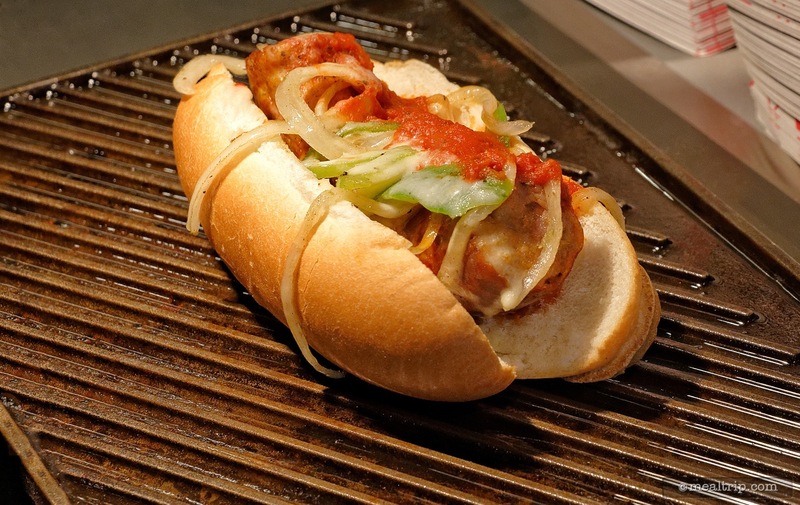 Instead you'll find an admirable meatball sub and a "garden lasagna" which is meatless... but not (possibly), completely vegetarian, I give them credit for trying though. 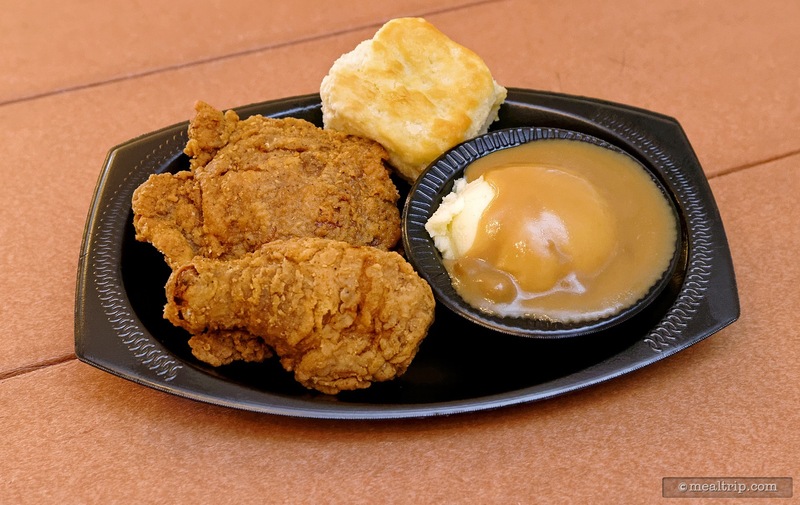 At the "American Station" there is a choice of baked or fried chicken platters with solid side dishes, from some great mashed potatoes and gravy, thick cut fries, or corn. (Well, in all fairness, there's some mac and cheese as well, but it's still not the amped-up "oh my gosh" mac and cheese that I'm looking for.) Both chicken platters are also delivered with a fairly light and buttery biscuit. None of the dishes exactly stand out in my mind as being "the best I've ever had", but they are far, far away from being the worst. 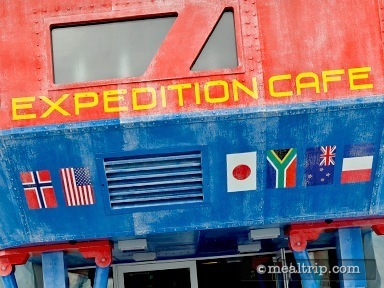 In fact, I'd have to say that if someone were to ask me which one restaurant to go to when visiting SeaWorld Orlando, I'd have to recommend Expedition Cafe above all the others (even Sharks, but that's a different review). Voyager's Smokehouse does offer some great tasting BBQ, but the quality of the meats seems to vary from time to time. 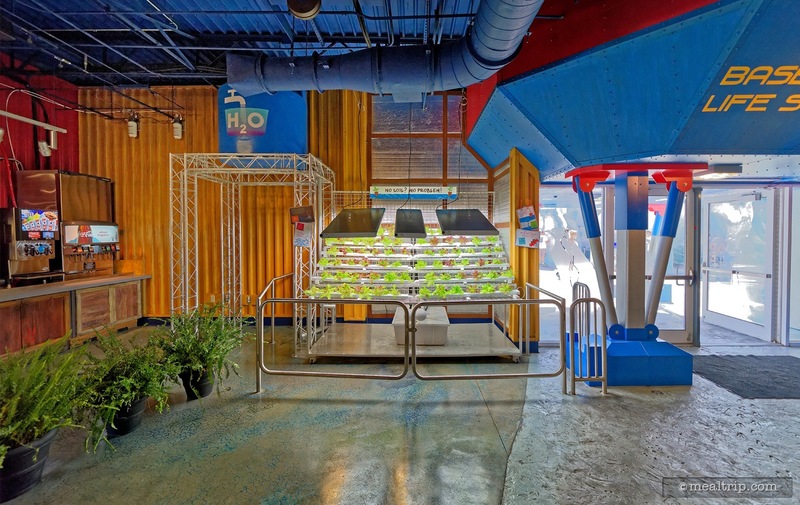 At Expedition Cafe, the small batch preparation method, helps to keep the food fresh no matter when you go. There are also several grab and go salads, sandwiches, and wraps. I have not, tried any of those. They all look good, but are clearly pre-prepared. There are also self-serve soda machines, and several domestic and import beers (in bottles), along with some pre-glassed, plastic peal-seal wines (aka convenient store style, but hey, it is a counter service location). All in all, a great looking environment, featuring three different cuisine types, that are all executed at the same quality level. 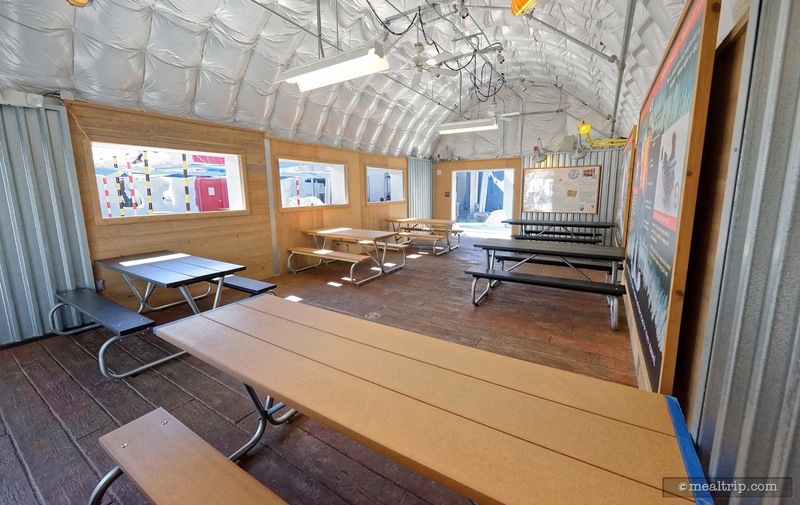 All the seating areas have ample space and stay relatively clean throughout the day. 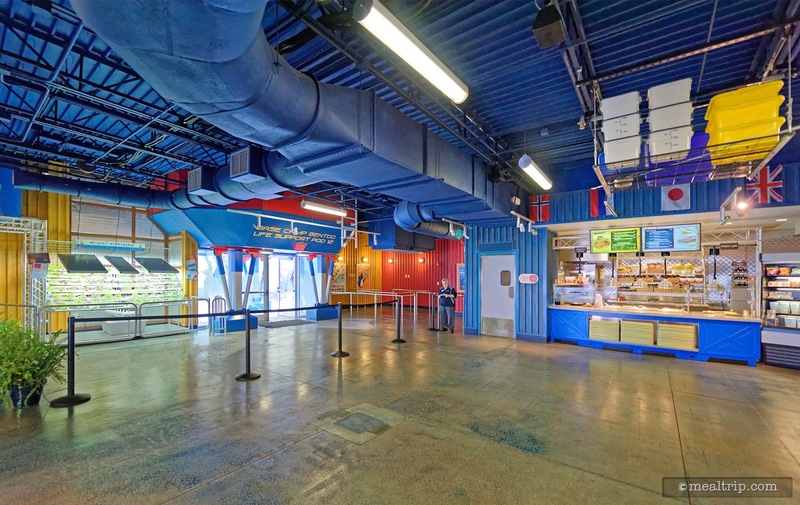 All in all, a solid theme park counter service location. CLICK HERE to view all 25 images in our photo gallery.